Our Environmental Department is growing! 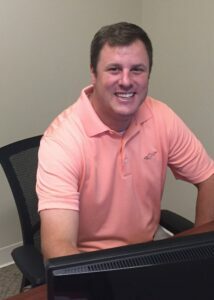 An addition to our Kennesaw office, Nathan brings over 11 years of vast experience in the environmental consulting industry. He has performed consulting services for clients such as real estate companies, private capital companies, developers, banks, airports, rail-roads, petroleum companies, and governmental agencies. His previous roles have ranged from client communication, health and safety plans, contractor management, reporting and report reviewing, to field investigations. Nathan earned a Bachelors in Geology from State University of New York (SUNY) at Cortland. In his spare time, he enjoys camping, fishing, playing in an adult hockey league, and cheering on the Buffalo Bills and Sabres. Please join us in welcoming Nathan to the NOVA family! Nathan can be reached at nparker@usanova.com and/or 470-515-8835.